Hi alll, Lyn here from Orchard Street in Network 5. Just wanted to show you all what I have been up to lately. I have started going to a recycling place in Waunarlwydd with a gentleman called Bryan. 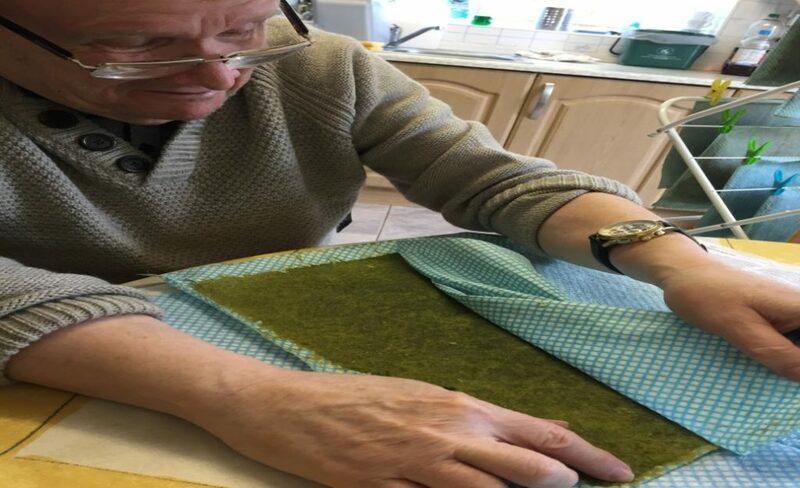 I am currently learning how to make paper from bamboo leaves, it is very interesting and I enjoy coming here as I get to learn new skills. Anyway I must get going as I have plenty more pages to make, I will be in touch soon to let you know how I am getting on.